Catriona graduated from Edinburgh in 2001. She was immediately offered a job in a mixed practice in Australia where she had spent time as a student. After 2 years she returned to Scotland, and took up a position at Robertson and Orr. 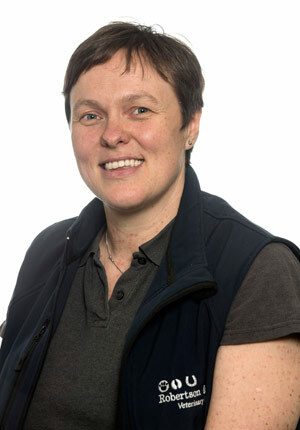 The draw of the area, and the relaxed lifestyle soon settled Catriona and resulted in her buying the practice in 2008. 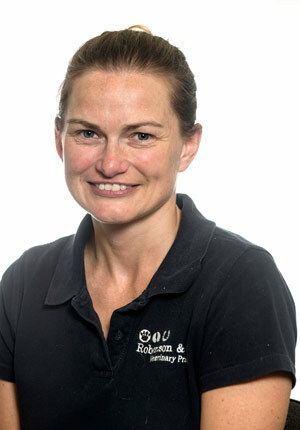 As a dairy farmer’s daughter, Catriona continues to develop her interest in dairy medicine and performs most of the routine scanning for the practice. Her interests extend to equine medicine, and having been a horse owner since the age of 7, she has a wealth of experience in equine treatment and care. As clinical director, she also takes responsibility for the more complex small animal surgical procedures when necessary. Outside of work, Catriona can be found out with her 2 dogs Bracken and Aussie or catching up with friends over good food and a glass (or 2) of wine. 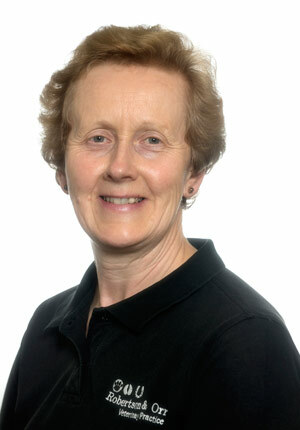 She also coaches for Girvan swimming club and is currently chairperson for the club. Claire joined us in the summer of 2015. She graduated from Glasgow in 2004 and has since worked in a variety of places and countries, including Ireland and New Zealand. She is originally from a local dairy farm and has now returned home to Ayrshire. 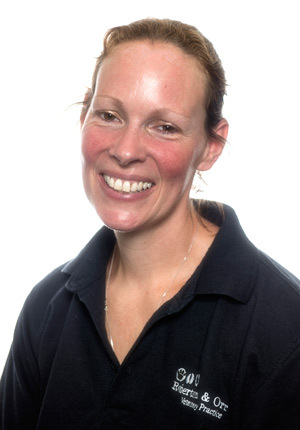 Claire has a variety of skills to offer the practice after working in primarily large animal practices just after qualifying and then spending time working for the PDSA honing her small animal skills. Outside of work Claire can be found exercising her horse Danny who she competes through the summer seasons and is hoping to do well in her first one day event this year. She is also a keen traveller and enjoys trekking in lots of different countries. 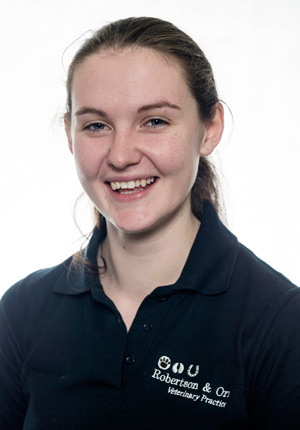 Kat joined the practice in the summer of 2015 and has recently been promoted to office manager. She worked for several years in the human health field and made the very wise decision (we think) to move into the veterinary world. She is the daughter of a local farmer and is enjoying being back working with animals. In her spare time you can find her walking the hills with her dogs or catching up with friends and family. 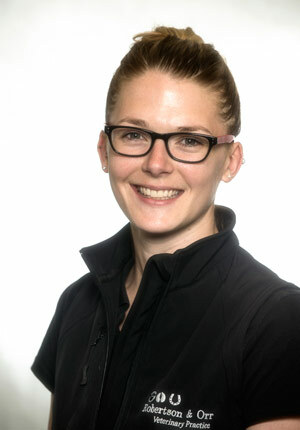 Katie is our vibrant practice manager. She is a superb addition to the team here, running the practice with a smile and treating everybody with unequalled kindness, clients and staff alike. She has previous experience in a variety of occupations, including accounting, managing a homeless hostel for South Ayrshire council and office manager for an AI (artificial insemination) company. Her weekends and spare time are spent on her Harley Davidson Road King, travelling the length and breadth of the country. Last year she took part in the Breast Way Round a charity event to raise money for MacMillan Cancer Support. She lives with her hubby, 6 dogs and a cat. Dawn joined the practice in 2009 after moving to this area from Aberdeen and is another valuable member of the reception team. Dawn married a local farmer, and has since given birth to her fourth child. Outside of work she can often be found doing her 2nd job of being a farmer’s wife. Christine is a local lady, having lived with her hubby on a working beef and sheep farm locally for years. She has been at Robertson and Orr for several years now, working part time in reception. She enjoys helping out with baking for a local farmers market and gardening in her spare time. 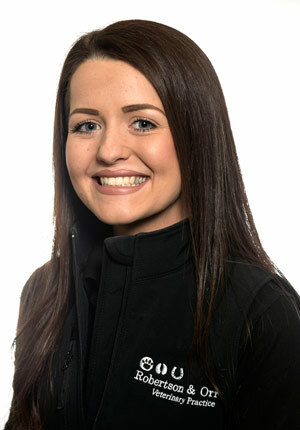 Lauren is the most recent addition to our reception team. Lauren comes to us from the tourism industry and is settling in well. She stays locally and in her spare time loves taking her wee dog Alfie for long walks and catching up with friends.